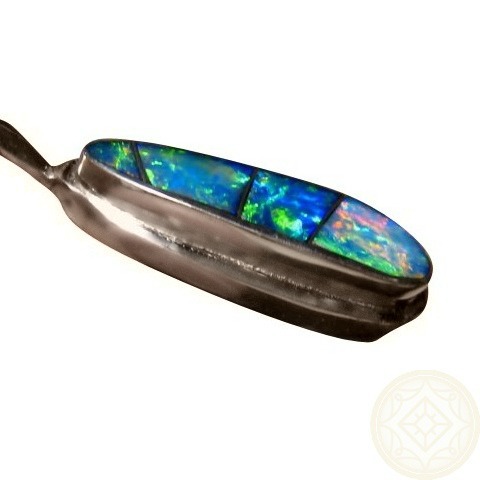 Long Oval Pendant inlaid with Four Brilliant Opals in 925 Sterling Silver. 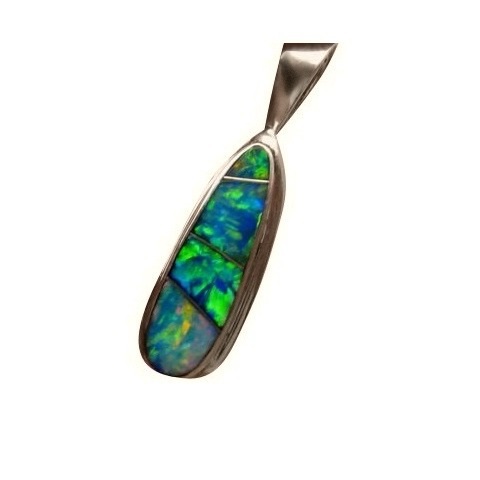 Opal Pendant Custom Inlay in 925 Sterling Silver. 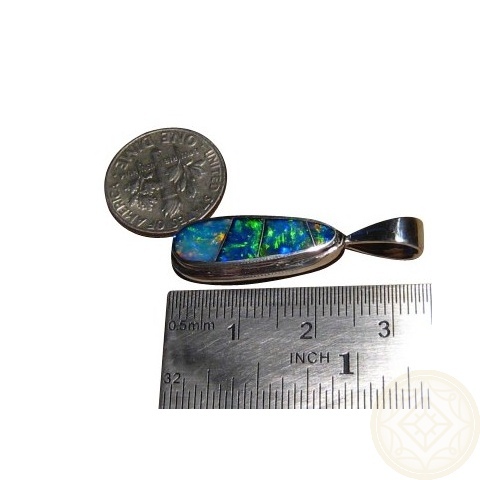 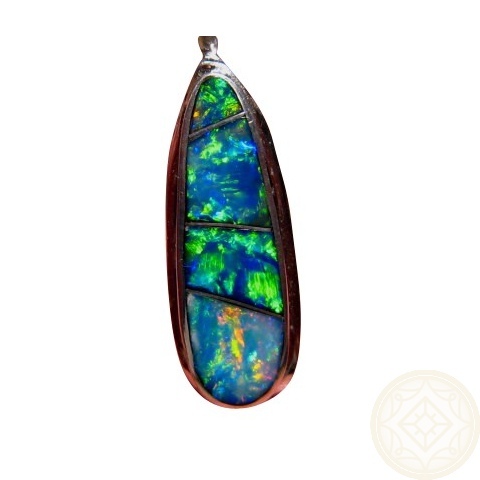 This substantial Pendant is inlaid in Four Sections with Lightning Ridge Black Crystal Opals. 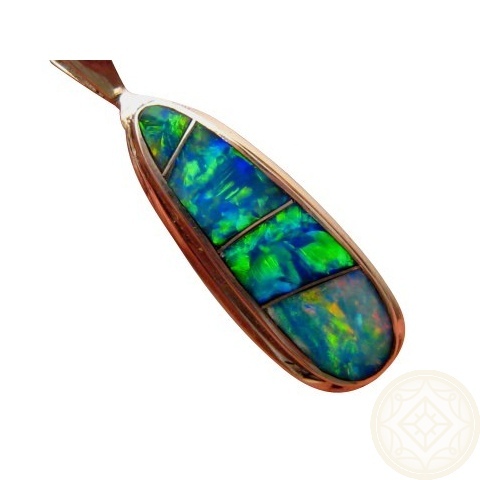 Extremely Bright and Colorful Opals Custom Designed to use the best possible Opals.